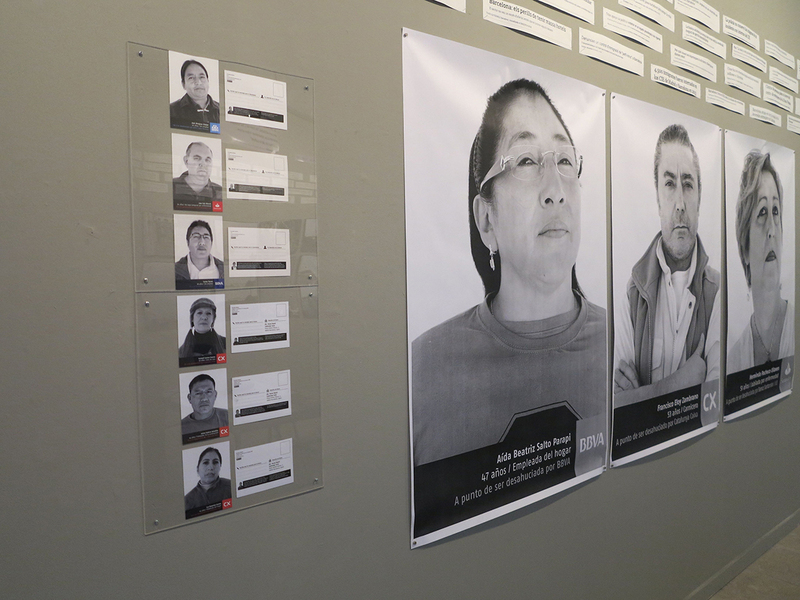 Barcelona inspira proposes a critical reflection about the actual reality of Barcelona, departing from an analysis of the social, political and economical issues raised in the 90s by three exhibitions done at the Fundació Antoni Tàpies: Krysztof Wodiczko. 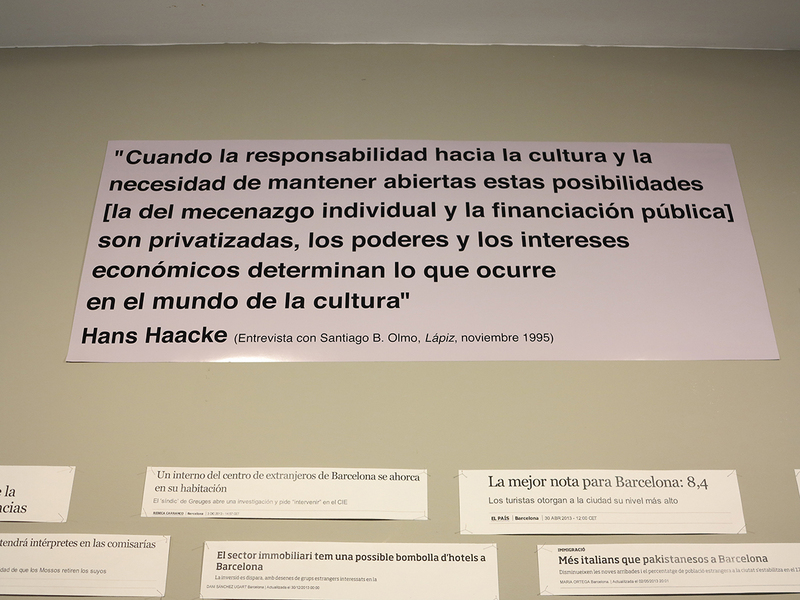 Instrumentos, proyecciones, vehículos, Hans Hacke, Obra Social and La Ciutat de la Gent. 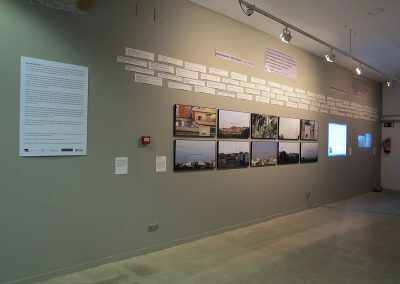 All three exhibitions brought to light the determination to rebuild from the museum a critical portrait of Barcelona within the context of the Olympic and Post-Olympic euphoria in the 90s. 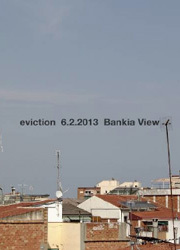 Departing from the analysis of a series of problems -like the concentration of corporative capital, the property speculation, the migratory politics and the commodification of the city-, these three exhibitions evinced the configuration of a city model built apart from the public sphere. Barcelona inspira conjoins a series of projects that reveal the continuity and radicalization of the issues addressed in the Fundació Tapies’ exhibitions from two decades ago. Facing the institucional projection of the city image as a place for opportunities, business, benefits and prosperity, the artworks included here show the realities hidden under the official mythology of Barcelona, and pose non-official stories of the city.